3rd class have been feeling very artistic this term. They looked at Gustav Klimt’s “Tree of Life” and did their own representation of it. They also had a look at what is inside their heads and represented this through art, before finally making some spooky cats and pumpkins in time for Halloween. It was a spooky, scary day today in North Pres! 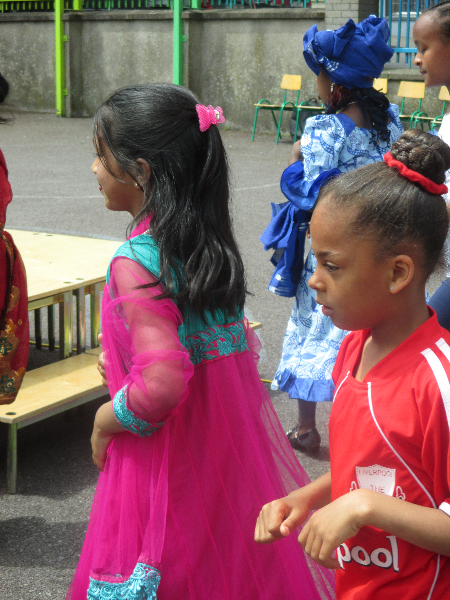 Have a look at the photos of the children on yard! We had some very scary witches and skeletons in Senior Infants today! Elsa, Supergirl, Spiderman and Ironman turned up too along with two policemen, princesses and the Hulk! The children went trick or treating to third class where they sang some Halloween songs. Happy Halloween from Senior Infants! Senior Infants had a great day in school today. They got to buy some yummy cakes at the Cake Sale. Well done to everyone who brought in cakes. Thanks to the Parents’ Association for running it. 466 euro was raised for the school yard. Mr. O Connor’s class are really enjoying school at the moment especially when they get to do art. Here they are painting some pumpkins for Halloween.